This is for an electric utility company’s substation on a remote island. 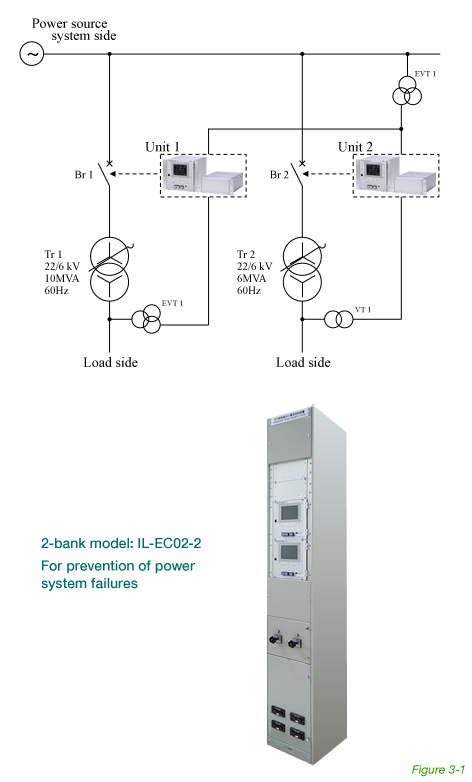 The low potential of the system raised concerns about voltage drops due to the inrush current of the power receiving transformer. The Inrush Limiter T1 was installed to prevent this. Figure 3-2 shows measured waveforms, recorded during field validation testing, of the inrush current and voltage drop with and without the Inrush Limiter. After repeated opening and closing tests without the Inrush Limiter, the inrush phenomenon showed an inrush current of 411 A, and voltage drop of 14.8%. With the Inrush Limiter, the inrush current was suppressed to 91A and the voltage drop was held to within 1.9%. A major chemical manufacturer owns an electrical furnace and their own electrical power receiving substation. The substation consists of several banks of power receiving transformers. 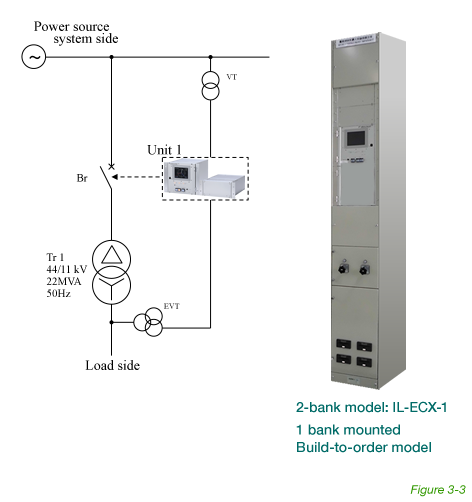 When they energized a transformer in one of the banks, the other banks (connected to the primary side of the power system) showed a significant voltage drop. The Inrush Limiter T1 was installed to avoid this voltage drop and the disturbances it causes on manufacturing activities. Figure 3-4 shows measured waveforms, recorded during field validation testing, of the inrush current and voltage drop with and without the Inrush Limiter. 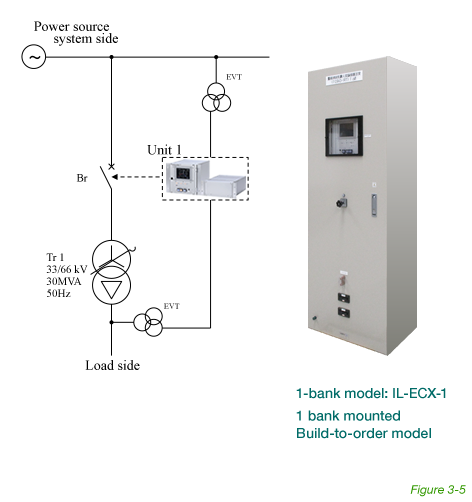 After repeated opening and closing tests without the Inrush Limiter, the inrush phenomenon showed an inrush current of 1,514A, and voltage drop of 7.1%. With the Inrush Limiter, the inrush current was suppressed to 83A and the voltage drop was held to within 0.2%. This manufacturer used a circuit breaker with a resistor for many years to suppress inrush currents in their 66-kV electrical power receiving substation. (The 66-kV serial resistor is used with an auxiliary circuit breaker to limit inrush current when the breaker is closed.) The Inrush Limiter has rendered these resistors obsolete, which are now removed. Figure 3-6 shows measured waveforms, recorded during field validation testing, of the inrush current and voltage drop with and without the Inrush Limiter. After repeated opening and closing tests without the Inrush Limiter, the inrush phenomenon showed an inrush current of 839A, and voltage drop of 19.5%. With the Inrush Limiter, the inrush current was suppressed to 164A and the voltage drop was held to within 1.5%.